Inside a a fully plated armoured suit. 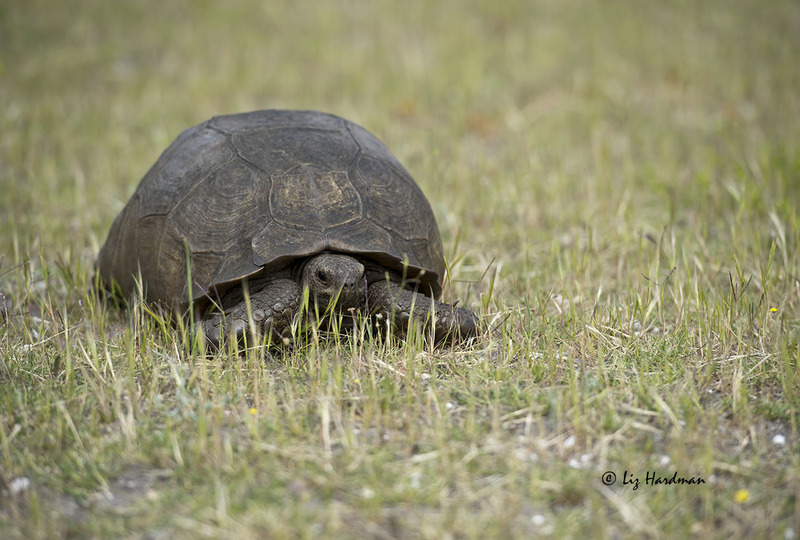 Inspired by this week’s photo challenge, a mountain tortoise “at home”. 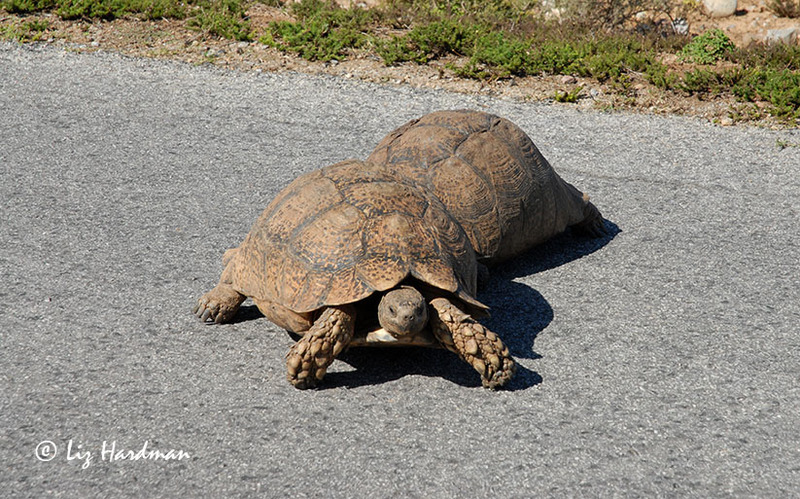 Some weeks a species will be more visible than usual and activity is trending in the reptile sector: tortoise jousting! 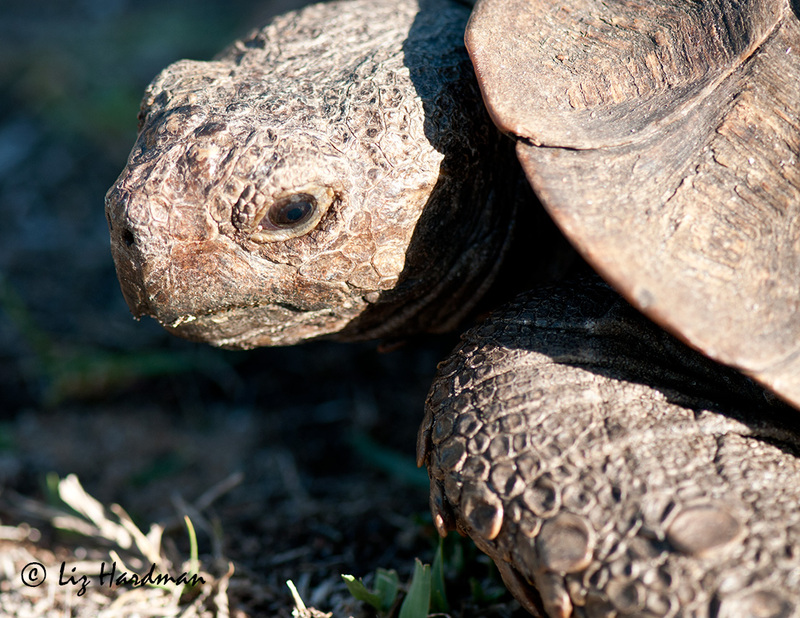 We are fortunate to have eight out of the thirteen tortoise species endemic to South Africa, in the Western Cape. The coastal variety, the angulate (Chersina angulata) is the most active, and the males have the dubious reputation for being the most truculent. They engage in lengthy bouts of combat and use the enlarged shields beneath their necks to flip their opponents onto their backs. Meanwhile the wiley females lurk as spectators in close distance to claim he who triumphs. The confrontations can be quite brutal, rather like a game of dodgem cars, a fierce clashing of carapace, bashing and flipping motions. 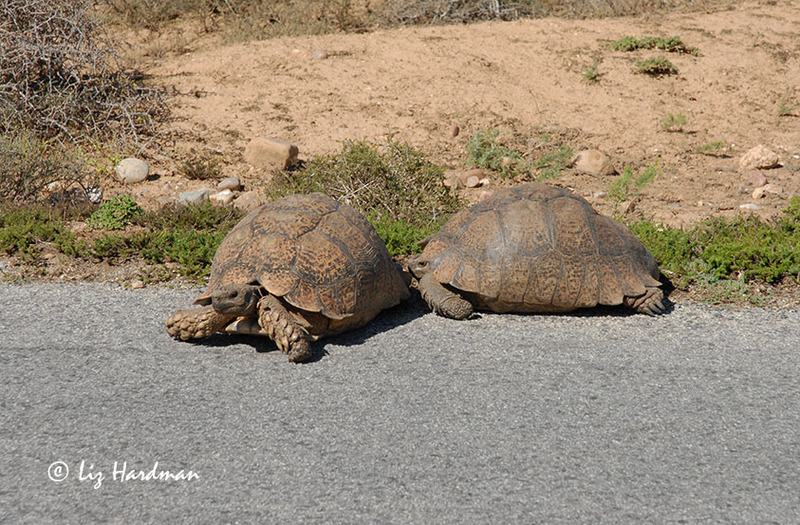 Asserting territorial rights, the strongest get the females. 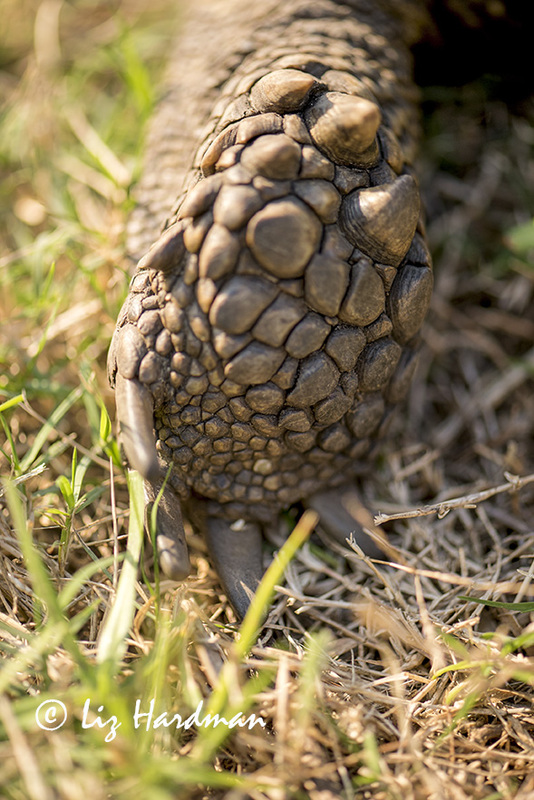 Note the protruding neck plate – used in the ‘flipping’ tactic to get the loser onto his back. If the loser is unable to right itself, and turn back upright, it’s a long, slow death. Somehow there is a kind of reverence to this bullishness. 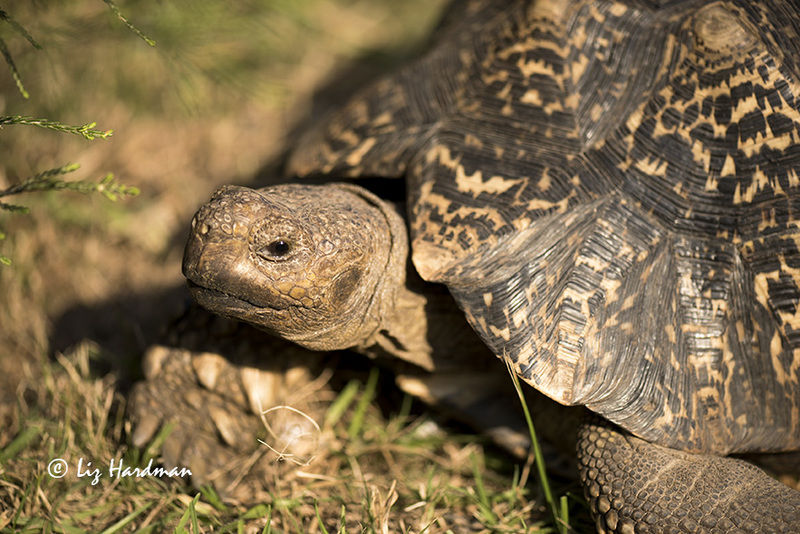 Tortoises are of that ancient group, the Chelonians, (Order Chelonii) and have remained almost unchanged since evolving in the early Triassic period, 210 million years ago. 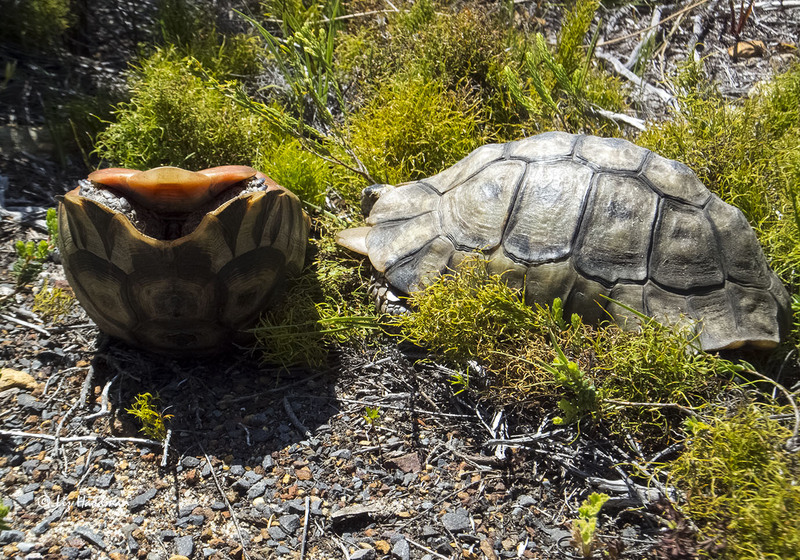 Their defensive structures, the shell and their amazing tread-like skin make for strong, impenetrable armour. No teeth in this species, they have horny beaks, similar to that of parrots. 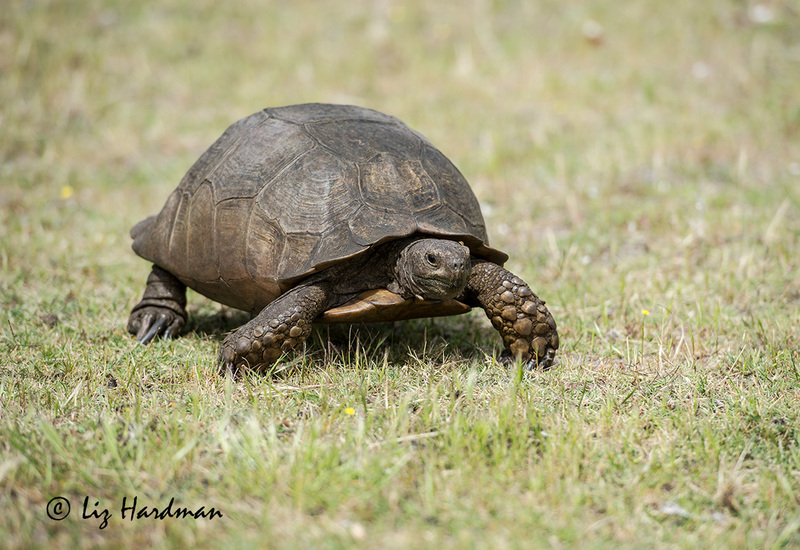 One of the popular bushtales from the Addo Elephant Park is that of a legendary mountain tortoise of enormous strength, dubbed “Domkrag” (carjack). He endorsed his reputation of Herculean strength by trying to flip stationary cars defending territorial rights on his stretch of the road. He was of a ripe old age, but apparently met an ignominious death by falling down an aardvark’s burrow.